By Peter Anderson 15 Comments - The content of this website often contains affiliate links and I may be compensated if you buy through those links (at no cost to you!). Learn more about how we make money. Last edited January 5, 2018 . A while back I wrote about how I was considering buying an Amazon Kindle because of my love of reading, and the good things I had heard about it. I ended up buying the device, and doing a Kindle review for this site. The verdict that I came to? The Kindle, while it isn't a multi-functional device like the Ipad or other tablet, is a great way to read ebooks, newspapers and other media if you're a reading junkie. It does have a web browser and music player, but I'd only use those in a pinch. One thing that I loved about the Kindle is the fact that there are so many sources of free ebooks available out there that you could probably end up reading books for free for years to come! Add to that the fact that Amazon recently started allowing Kindle users to do library lending (for local libraries that have ebook lending), and the Kindle was a winner – especially at the new super low price of $79 for the cheapest Kindle reader. I've recently been looking into getting a tablet computer, like the Ipad or Galaxy Tab, but for the most part had stayed away from purchasing one because of the high cost. The recent announcement, however, that Amazon would be releasing an Android tablet piqued my interest. Why? Because it promised to be much more affordable than it's competitors, while still being a device that doesn't skimp on quality or usability. New Kindle Fire: A Tablet For Frugal Folks? Kindle Fire: Decent Tablet Option For Frugal Folks? The Kindle Fire was announced to much fanfare a couple of weeks ago, and people are excited about the device because of it's combination of low cost and high quality that others will have a tough time matching. It also has some features like the high speed Amazon Silk web browser that promises to make the experience even more satisfying. Add to that the face that Amazon Prime users can stream free video content, as well as borrowing free books every month, and it's going to be a definite contender. So when you look at the Kindle Fire, what are some of the tablets currently on the market that it will be competing against? There are certainly others, but those are some of the hottest ones. So what price point will the Kindle Fire have when it launches in November? So right off the bat the Kindle Fire has a price, at $199, that seems to be anywhere from $200-300 cheaper than most of it's competitors. That's gonna be hard for other tablet makers to beat, and it could be a game changer. The only one that could come close on price is the $250 Nook Tablet, also launching around the same time. 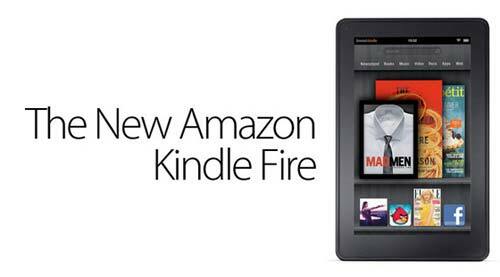 I think the Kindle Fire will be one of the biggest and most requested tech gifts this Christmas – even (or especially) for the frugal crowd. 7″ multi-touch display with IPS technology, 1024×600 resolution at 169ppi, 16 million colors. 8 GB internal memory, with unlimited cloud storage. Between 7-8 hours battery time. Wi-Fi – supports most common Wi-Fi networks. Amazon Silk web browser – cloud-accelerated browser that uses a “split browser” architecture to leverage the computing speed and power of the Amazon Web Services cloud. So while the specs are hardly as robust as the Ipad, for example, it still has enough features and functionality to make it an attractive offering. Storage: So as you can see the specs aren't exactly the best of the tablets. A lot of tablets that the Fire goes up against have 16-32GB of storage, while the Fire has only 8GB. Amazon counters that by pointing out that much of your media can be stored in the cloud. The Nook tablet could compete with it's 16GB of space at just $50 more. Size: Some other tablets are also quite a bit bigger. The Ipad is a full 2.7 inches bigger in screen size,probably better for watching movies and TV. Of course that means the Fire is quite a bit lighter – a positive in my view – clocking in at 50% lighter than the heftier Ipad. That makes it easier to hold in your hand for longer periods of time – like for reading a book, or watching media on the couch. Not A Lot Of Extras: Another downside to the Kindle Fire is that it doesn't have a lot of extras, it's pretty barebones. It has no forward or rear facing cameras or microphones, so there won't be any video chats or video blogging. It also doesn't give the option of 3G wireless access, it comes only in a Wi-Fi version for now. Amazon Kindle: Money Saver Or Waster? Should I Get One? I find the price point on this alluring, too, and might also add it to my Christmas list. My only issue with these things: what exactly do I need it for, and when would I prefer to use it instead of my laptop? I guess the answer probably is that I don’t need it and that it could be nice to have for travel and plane rides when I want something less bulky than a laptop. I’m curious: What would you use it for mostly? I think I’d be using it mostly as a replacement for my Kindle w/ keyboard that i currently have, as well as using it on the go for checking email, surfing, etc. It will mainly be an entertainment device though – replacing my current Kindle, but having more functionality. I don’t think I’d be replacing the laptop anytime soon. I just like having a full size laptop for most things blog related – and possibly a tablet for entertainment purposes. So Kindle Fire = all play? I’ve got a Nook Color. It’s android-based and hackable. I hacked it on a microSD card, so the warranty is still valid. If there’s a problem, I pop out the memory card, reboot it, and send it in. Hacked, it’s a full android tablet. I’ve got the Nook App, the Kindle App, and the Overdrive app for library books. Buy.com has a certified, pre-owned NC for $180. Today, dailysteals has a 32GB memory card, plus adapter for $30. That’s $210 for an unrestricted android tablet. Detailed instruction on the hack are found online. Interesting feature I haven’t tested: Once it’s hacked, you can turn on bluetooth, letting you use a BT keyboard with a nookcolor. Thanks for sharing your thoughts. Just out of curiosity, does the Kindle Fire (or any other device) offer the ability to read the text to you? I don’t know if the Kindle Fire does text to speech. The regular Kindles do – I use it all the time. I would think they’d offer something similar on the Kindle Fire? Not 100% sure though. I was wondering if the Kindle Fire would be nice for my 10 year old for Chirstmas. He has an ipod touch. He would use it to play games, surf the web, and vidoe things. He likes to video himself at swim meets. We have used a ipad at swim meets before, but I don’t see purchasing a 500 ipad for a 10 year old. Wound the kindle fire do all these things above? No, the Kindle Fire doesn’t have a camera so you couldn’t use it for video. Otherwise it would work. I ordered two Fires for my boys for Christmas. I like the smaller size, the nice price point, and the BIG feature for me is that you don’t have to constantly (or ever) hook it up to a computer. Apple used to really “get it,” but I think they have missed the boat with that. What a headache. Hopefully the Fire will rock! I’ll be interested to hear how you like them once you get them! Jason above has raised the critical issue for those looking for more than an ereader-plus. When you buy a KF, you are buying a locked-in device. You will only be able to load books and apps through Amazon… even though the device is built upon the Android open source OS. Very strange when you think about it. For most it is a sound ereader-plus, but that’s all. It is not (yet) truly a full tablet, let along a free market one. It is a proprietary device as well. Thats a good point.. The question is – how much will it matter to most people? Will it being a closed system be enough to keep them from Fire, and will it push them to another reader? I don’t think it’s any more closed than Apple’s ipad. It is pretty annoying, though, that Amazon won’t let you move content from one account to another. We’ve purchased several items from their “video on demand” and I would now like to move that content to my son’s account but they say “no.” Not a deal-breaker for me but might be for some who have a whole lot of content in one family member’s account. How will/does the fire stack up to the iPod touch? I have 2 sons 10 and 12, both love to play with my iPhone and download tons of apps. I can’t afford to buy them ipads… Was thinking of iPod touch fir Christmas but the Fire is intriguing. How do these stack up? Thanks in advance for your analysis! It’ll be similar to the ipod touch I think, just bigger (7″ versus smaller Ipod Touch form factor), without a camera – and tied into the amazon app store instead of the apple apps store. I have an iPod touch as well, and while the Fire isn’t released yet i think the Fire will be better for watching and consuming media like TV shows, movies, games.. Thanks for your opinion Peter…running over now to follow you all and get in on the free fire contest LOL! Previous Post: Where Did You Get Your Money Smarts? Next Post: Is It Worthwhile To Pay For Credit Card Payment Protection?